Springfield's Best submitted by Amelia D. - Oct 10, 2016 |Recommended: YesI've lived in so many apartment complexes in Springfield and Sherwood Village is by far THE BEST overall. Very nice, well maintained grounds. Extremely friendly and helpful staff. In my 2 years being here, if I ever had an issue, it was handled promptly. Very pet friendly and great community events every so often. Love Sherwood Village submitted by Briana V. - Oct 03, 2016 |Recommended: YesI love, love, love living here Staff is always friendly when I call with annoying questions always willing to help. Have not had many issues with maintenance issues, and when we did, they were fixed within a day. I have absolutely no complaints. Great place to live submitted by Elizabeth T. - Aug 04, 2016 |Recommended: YesI think this place is great. The staff is friendly and they take the time to learn your name and have a conversation with you whenever you go to the office. I'm sad to be leaving because they have been the best to deal with. 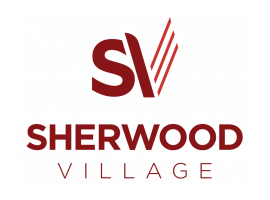 Sherwood Villagesubmitted by Robert C. - Jul 01, 2016 |Recommended: YesI would tell them that all in all, it's a great place to live. Management is great, and there are always all sorts of fun resident activities and events. Its nice, and a great place to live. submitted by Jessica A. - May 24, 2016 |Recommended: YesI would recommended a person to live here. It is a great, clean property. submitted by Autumn F. - May 20, 2016 |Recommended: YesIt's a welcoming place to live and very safe. It is very nice and I enjoy living here. submitted by Jason T. - Apr 06, 2016 |Recommended: YesI would tell them, it quiet and safe, and the property is very nice and clean. I really like the property. submitted by Montana Z. - Mar 27, 2016 |Recommended: YesCloseness to campus and work. The office workers are always really nice and willing to help. I love it submitted by Stephanie F. - Feb 15, 2016 |Recommended: YesI'm renewing my lease for the third year. I love it. Apartment living has its pros and cons, but I couldn't imagine a better place to live. The staff are super friendly and personable. Every time I have ever needed any time of maintenance, it's always done the next day. Overall, it's a great place. Great place to start.submitted by Rebecca F. - Jan 28, 2016 |Recommended: YesGreat starter community. Love the all access pass. Gas station, car wash, and restaurant on the same corner is very convenient. Not too busy during rush hour traffic. Student friendly, awesome staff amenities and they LOVE my dog submitted by Taylor C. - Dec 29, 2015 |Recommended: YesThe staff at Sherwood village is so kind They are professional and helpful and always ask how I am doing and take an interest in me as a person not just me as a check. The staff always has treats for my dog we we go in the office and even checked on my cat once when I had to go out of town on short notice. The tanning pool gym being right there is incredibly convenient and I have never seen the gym too crowded to use. I have never taken the shuttle but that is a great thing to offer for college students. The only issues I have ever had has been by noisey neighbors and I have only made one noise complaint in 2 year of living there. It is the perfect place for college students on a lower income that still want a nice place to live that is geared to college students but isn't crazy party central. I looked long and hard before moving into Sherwood village and it was absolutely the right choice for me. Great, quality apartmentssubmitted by Samantha B. - Mar 20, 2015 |Recommended: YesI ve lived here for almost a year and it s a really fun, pleasant atmosphere. This is the first nice apartment complex I ve lived in, and it really is wonderful. The amenity options are awesome, and it s really cool to have the other TLC apartments in the same area to share their amenities. The community appears to be about my age--college aged, not a lot of families. I haven t had any issues with anything since I moved in. The only complaint I have at all is that I can hear my neighbors entirely too well, but at least they have good taste in music. No better place in Springfield!submitted by Amelia D. - Feb 01, 2015 |Recommended: YesThe apartments are extremely nice and well kept. The staff is really an amazing group of people. The community comes together often and just has a fun time. I couldn t be more happy being anywhere else. Living at Sherwood has been a great experience and I m sure many will agree with me!